1. There was a time not so long ago when the very notion of James Bond seemed ridiculous—as anachronistic as making a movie about Betamax players or pay phones. There were actual thinkpieces 10 years back about whether James Bond could exist in a post-Austin Powers world. Even Daniel Craig worried about it: “We had to destroy the myth, because Mike Myers fucked us,” he once told an interviewer. “I am a huge Mike Myers fan, so don’t get me wrong, but he kind of fucked us, made it impossible to do the gags.” (For what it’s worth: I do not believe that Daniel Craig is a huge Mike Myers fan.) This need to turn away from Bond kitsch and toward Bourne realism, as it turned out, did wonders for the franchise—2006’s Casino Royale felt entirely detached from the winking camp that often preceded it and closer to the meaner, stripped-down grit of Ian Fleming’s initial novels. Quantum of Solace, thanks largely to the WGA strike, was a step backward, but Sam Mendes’s Skyfall was one of the best Bond movies ever made: Lyrical, gorgeous, compelling, and viscerally exciting, it was the culmination of this rawer new direction. It couldn’t have been farther from what Austin Powers was mocking if it were a documentary about violins. 2. I bring all this up because even with Mendes returning, the new Spectre, perhaps inevitably, is a step backward, an inexorable creep toward the eeeeeeevil, cat-petting, be-monocled, Fallacy of the Talking Killer-abusing Bond franchise we’d all agreed to move on from. This Bond hits all the paces of the old movies—fancy cars, big guns, form-fitting tuxes, the relentless seduction of every woman who crosses his path (including a woman literally at her husband’s funeral)—but doesn’t give us the more human, more dangerous spin Craig generally brought to the material. This Bond isn’t campy—Craig, sometimes to his detriment, seems incapable of camp—but you can feel him being nudged in camp’s direction. This is the first time with him where you can catch a small, unsavory whiff of Roger Moore. This seems to’ve been the franchise’s plan all along: The darker reboot was just a way to get us reinvested in the material, before steering us back to the waters of Dr. Evil. 3. The story this time is that Bond, having just concluded the apocalyptic face-off at the end of Skyfall, is battling with bureaucrats who want to end the Double O program. (The last few entries here have had a decided anti-technology bent; this one adds in some half-hearted commentary about a surveillance society, too.) Eventually, they strip away his license to kill and all his privileges—he’s basically the cop who keeps getting yelled at by his commanding officers—just as he’s stumbling across an international crime syndicate called Spectre, which has in fact been responsible for all the terrorism and mayhem we’ve been watching him fight off this whole time. The syndicate is headed by the infamous Blofeld (Christoph Waltz), who turns out to have a personal history with Bond and thus good reason to not only want him dead, but to make him suffer immensely. Thus, Bond must take down the syndicate, save his new love interest (Lea Seydoux from Blue Is the Warmest Color), and convince the British government to keep his job relevant and active. It’s a busy night. 4. What made Skyfall fun is that it gave human dimensions to Bond and his cohorts, particularly Judi Dench’s M. It gave their fight stakes, and consequences. But in Spectre, we’re back in Cartoon Land. The stunts here are fantastical, but overly so: A bit where he chases down a car while maneuvering a plane on the ground is an impressive bit of theater, but it feels more like a stunt in a Fast and Furious movie. But the larger problem is that it feels like the Broccoli family—which has owned the rights to Bond forever, and nearly destroyed the franchise before Craig and his accompanying new focus on realism saved them—is back in full command. In bringing back Blofeld and Spectre—the perpetual boogeymen of those older, cheesier Bond movies—they’ve brought the cheese back, too. Waltz’s Blofeld is really only a couple steps away from Dr. Evil, if that. The movie tries to wink at this by giving Blofeld a white cat who stalks around his office, but I’m not actually sure that’s a wink, and the kitsch is incongruous regardless: It’s like a Christopher Nolan Batman movie where Arnold Schwarzenegger’s Mr. Freeze shows up. 6. 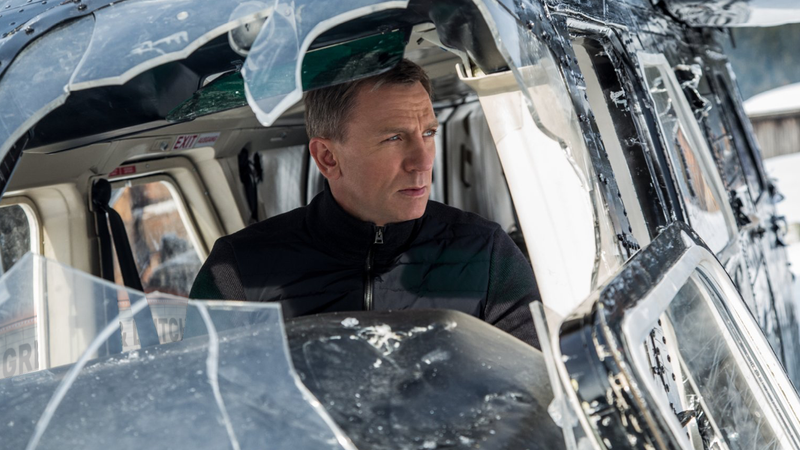 Whereas Spectre feels like an obligation, and not a particularly inspired one. You can come up with a new take on James Bond, but ultimately, he’s still going to return to being James Bond, no matter how boldly you interpret him. Mendes and Craig have done just about all they can do with the franchise, and now the elastic has snapped back, and we’re back to the stylish emptiness and winking puns that brought rise to Austin Powers in the first place. Has enough time passed that Bond can go back to being entirely ridiculous again? That’s the bet Spectre is making here. I think it’s the wrong one.